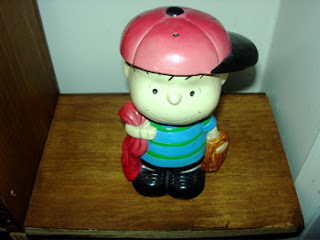 This is a rare Peanut's Linus Bank, circa 1970. It's a ceramic bank of great quality, about 12 inches high. I got it for Christmas in 1969. Charles Schulz created and produced the Peanuts comic strip. 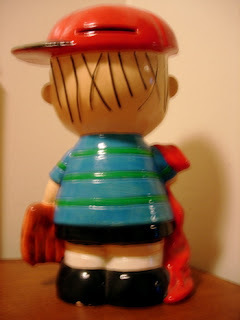 Peanuts characters are copyrighted by United Feature Syndicate. 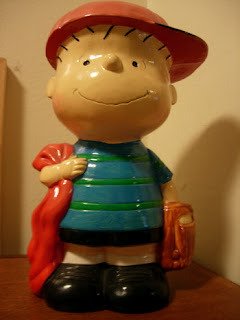 I am willing to part with this extremely rare Linus bank for $200 plus shipping. This is not a Disney item...but it is magical, so that's why it's here. I posted this before I decided to make this site all Disneyana.